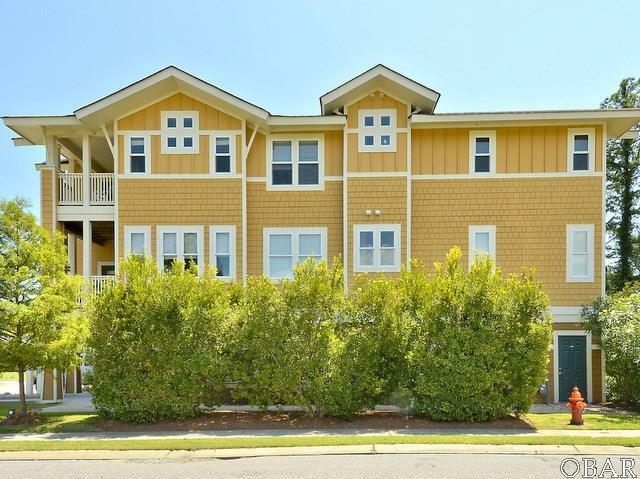 Stunning waterviews of the Currituck Sound. SAGA Construction offers a 2BR, 2BA condo located in the gated community of Waterside Villages. Over 1370 HSF, this spacious condo was designed with an open floorplan, 9FT ceilings, breakfast bar divider to the living/dining area and incredible water views. Relax on your private balcony or enjoy the spacious deck overlooking the landscaped grounds. Condo amenities includes a 2 car garage with dry entry and elevator for convenience. Community amenities include: clubhouse, swimming pool, tennis courts, sound access with day slips with a community pier and picnic pavilion. For more information about Waterside Villages, visit: WWW.WATERSIDEVILLAGES.COM. HOA fee includes flood, wind/hail insurances, landscaping and community amenities.